Super Eagles defeated their visitors 3-1 at the Stephen Keshi stadium. 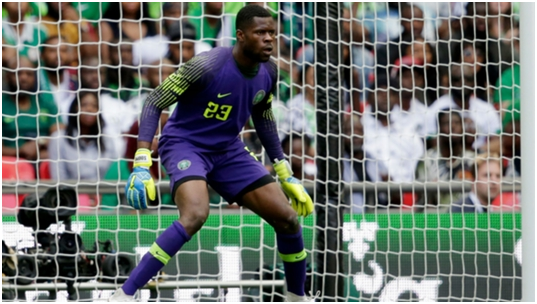 Goalkeeper Francis Uzoho was slammed by fans while Moses Simon was praised. The Nigerian Super Eagles’ goalkeeper, Francis Uzoho made a mistake that gave Seychelles their only goal, while Simon scored the third goal for the Super Eagles. 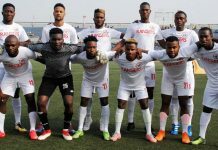 Nigeria on Friday, March 22, defeated Seychelles 3-1 in their last 2019 African Cup of Nations qualifiers played at the Stephen Keshi stadium in Asaba, Delta state. 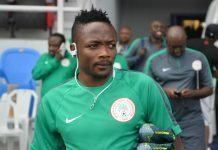 The super eagles were given the wins over their opponents by goals from Odion Ighalo, Henry Onyekuru, and Moses Simon, to the delight of the home fans. 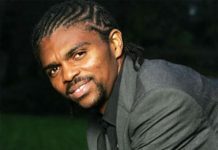 Fans who were at the stadium on Friday, March 22 were happy to see the Super Eagles beat Seychelles in Asaba, but Francis Uzoho’s performance invited the anger of Nigerians. Francis Uzoho’s gaffe in the 41st minute gave Seychelles their only goal against Nigeria, and fans took to social media to attack him. Fans also expressed their happiness on the victory, the Super Eagles got over Seychelles as they top their group ahead of the 2019 Nations Cup in Egypt.